Because we provide powerful tools to ease the work of interpreters. - Manage terminology and jobs. - Share glossaries with colleagues or the community. - Extract terms from text really fast to build glossaries. - Learn and review glossaries with flashcards. 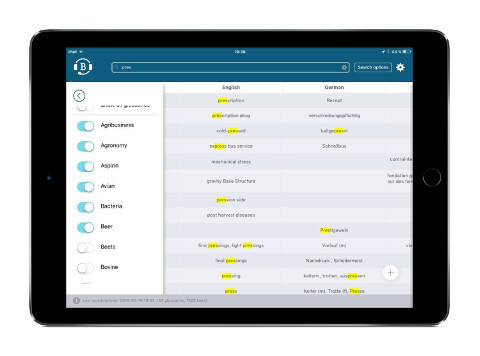 Search your glossaries very quickly, even offline with BoothMate. Join hundreds of interpreters, start with the Free plan! 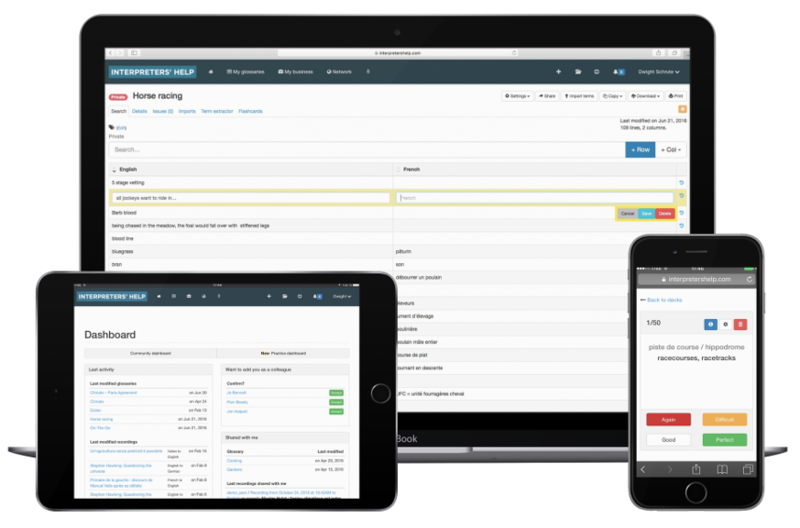 We can adapt our platform to your needs, develop custom features, host data on your servers. We are professionals with more than 10 years of experience, trusted by major companies. We offer free educational subscriptions for students and teachers. Professional plan at €20/month. Cancel when you want.